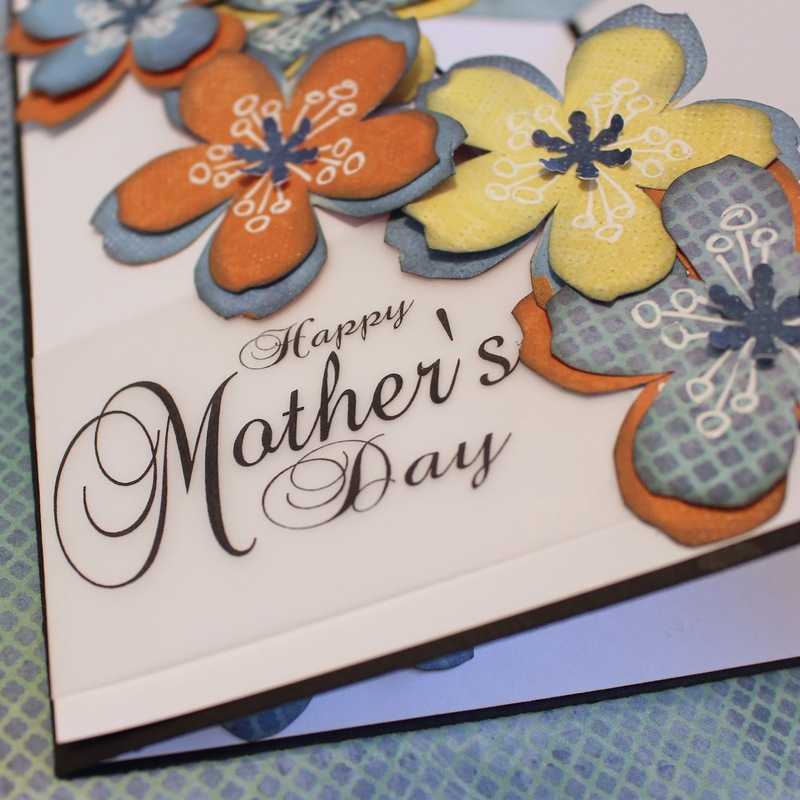 Blog Quick Quotes: Mother's Day Inspiration with Barb! 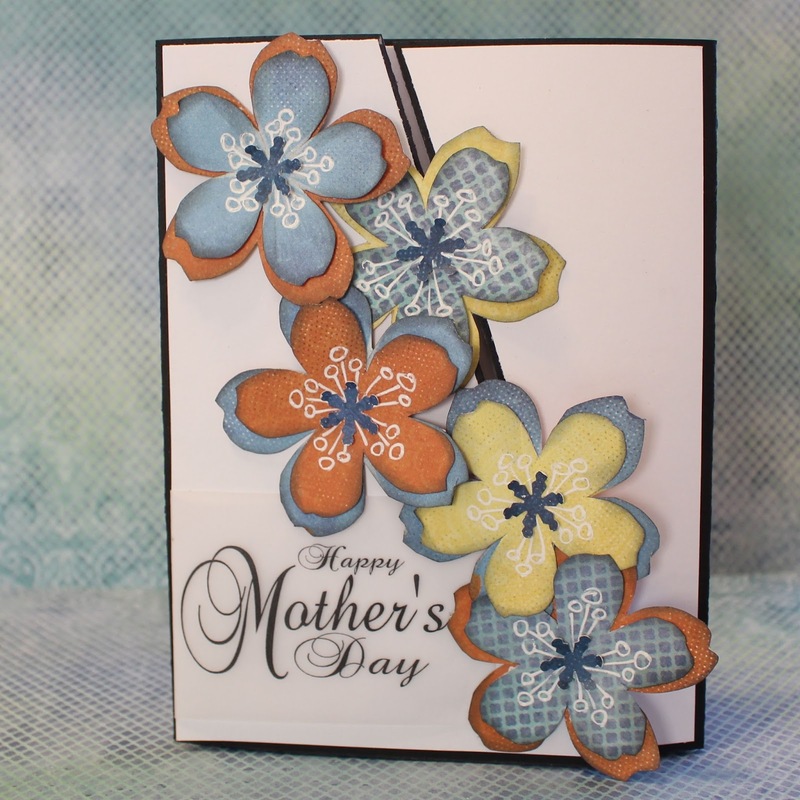 Mother's Day Inspiration with Barb! Hello everyone! Barb here today to host the blog! 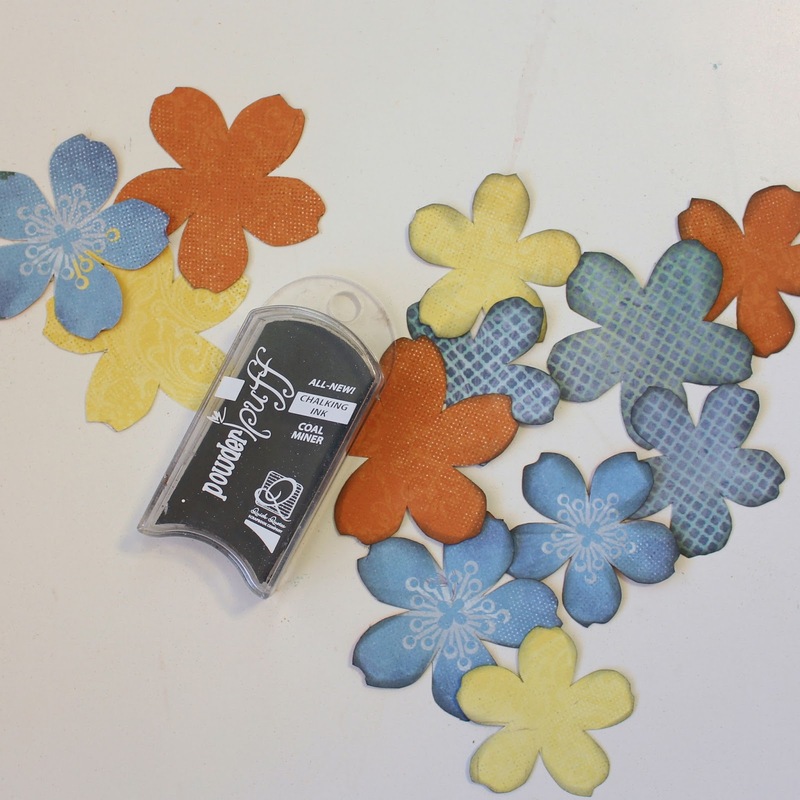 I have a Mother's Day Card to share with you and I thought I would show you how I made the flowers on it! Quick Quotes has some beautiful new lines and I am using two of them on this card...the Calypso line and the Serendipity line! I started with this paper (Calypso 200). My original plan was to fussy cut several flowers. 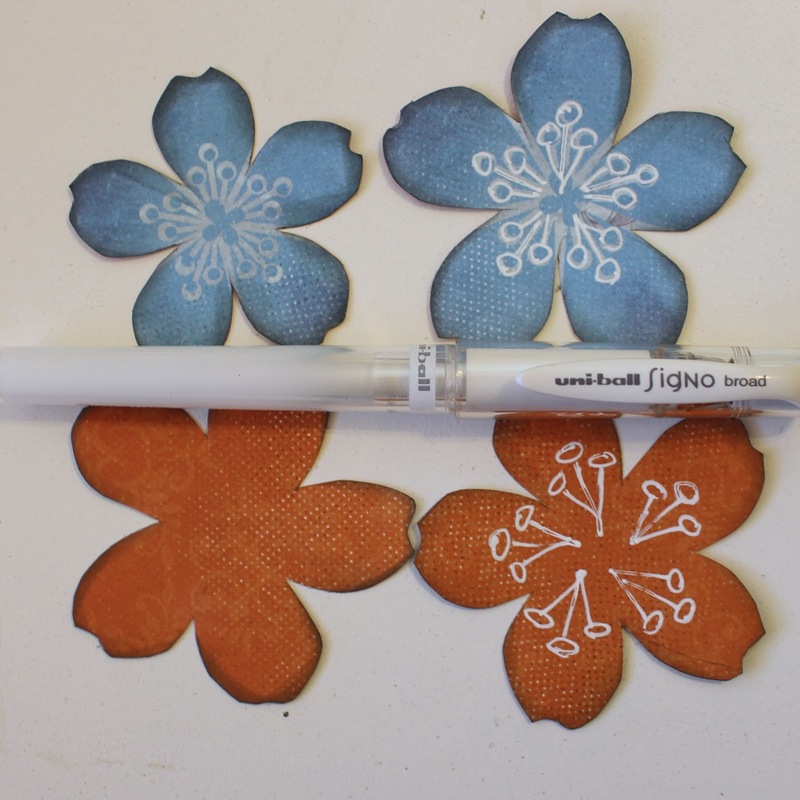 But after looking closely at this paper, there was just a little too much overlapping of the flowers to be able to achieve the look I was going for. So, I fussy cut 3 of the blue flowers. 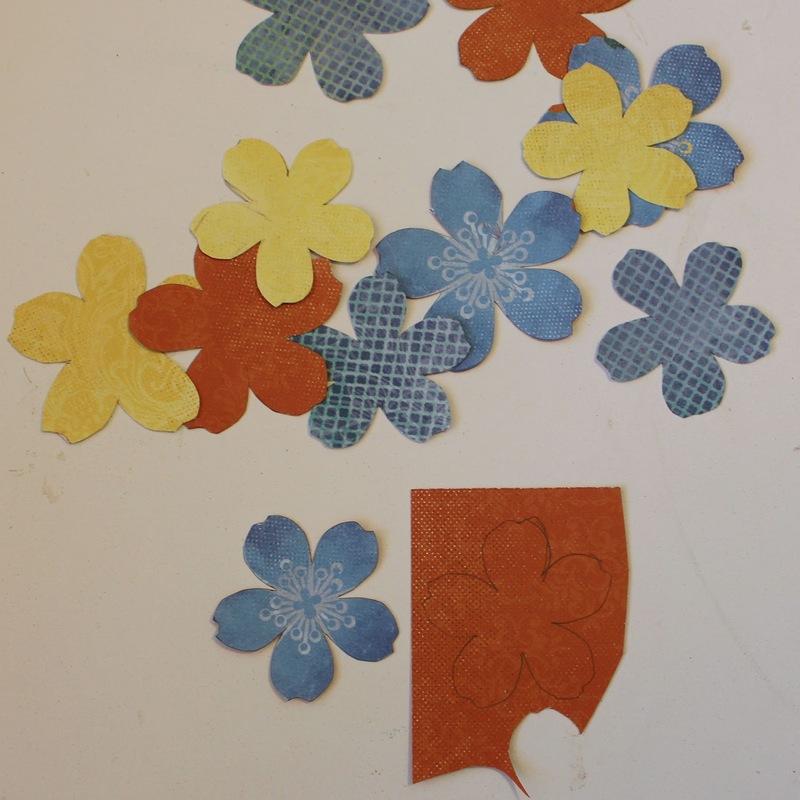 I then used the blue flowers as my pattern to trace and cut several more flowers from some of the other papers. I picked papers that pretty much had a solid color with minimal design. 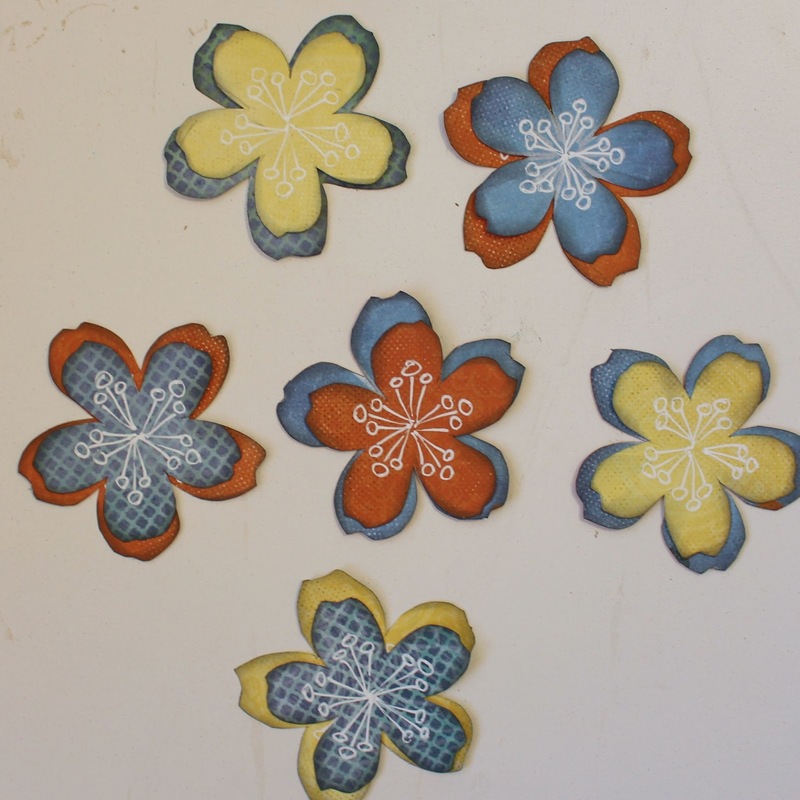 After they were cut out, I inked all of the edges with Coal Miner PowderPuff Chalking Ink. 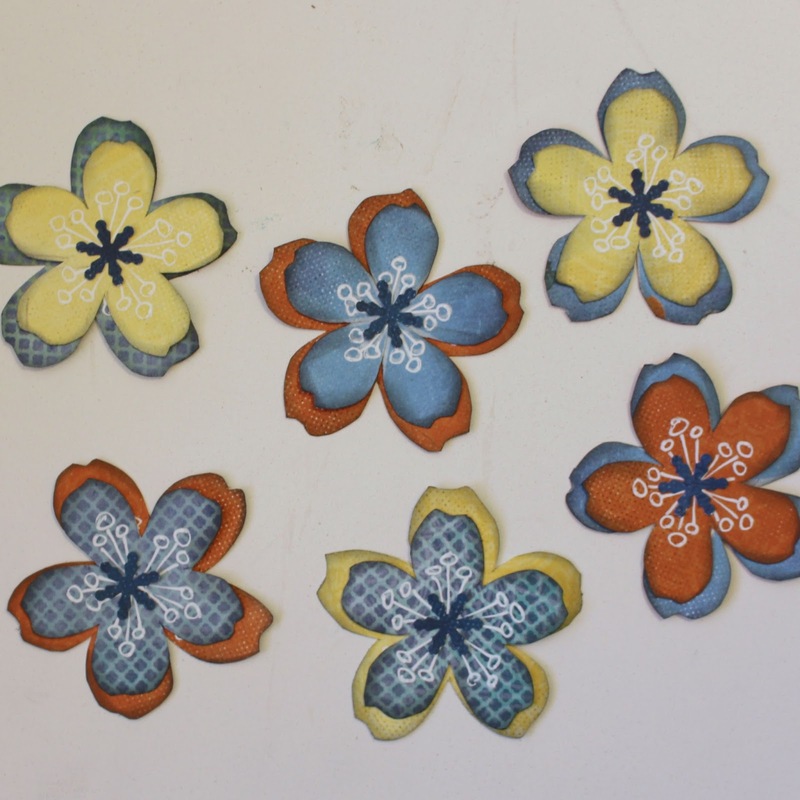 Next step is to layer the flowers, mixing up the color combinations on each one. 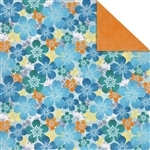 This snowflake punch was the closest thing I had to create the center of the flowers. I used the darker blue sheet of paper for this. Here are the completed flowers all put together. All that was left was to adhere them to the front of the card. I saved one for the inside of the card! 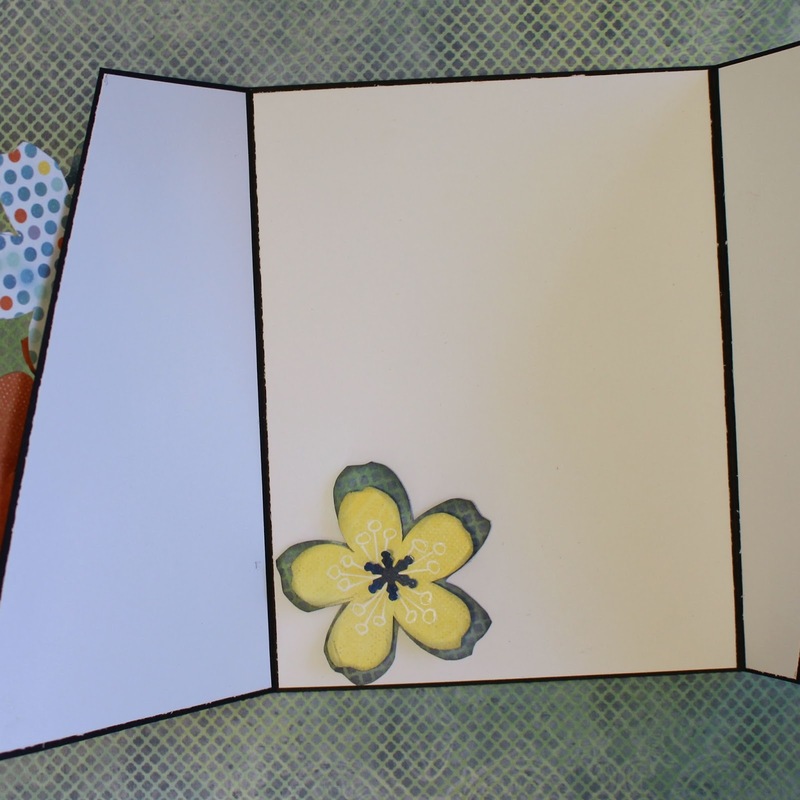 The Happy Mother's Day sentiment is a vellum quote from the Itty Bitty Vellum Quote Box - Sentiments. Remember to do something nice for your mother this Mother's Day! 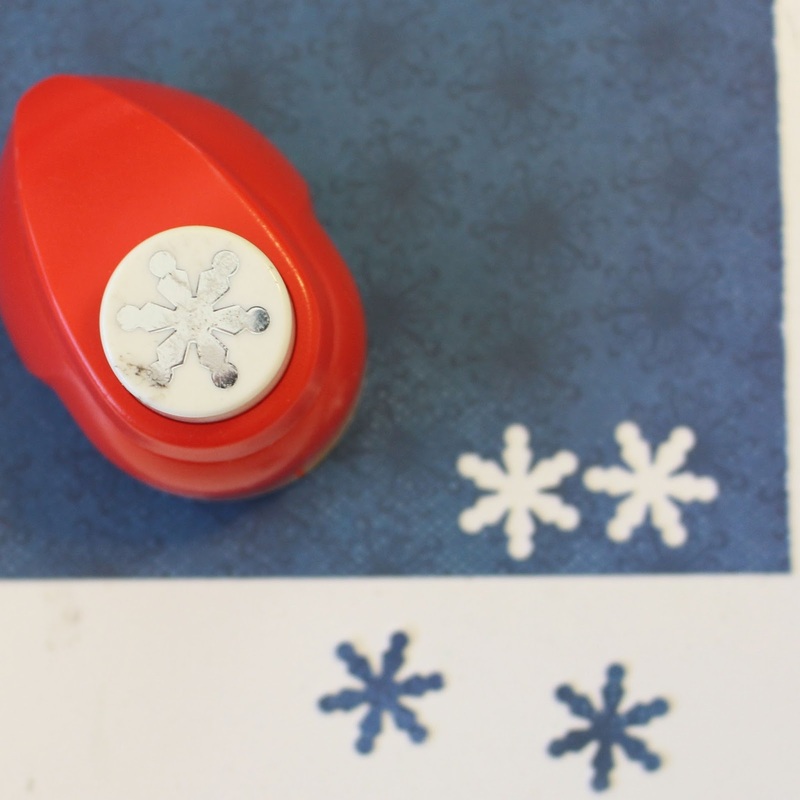 Beautiful card and that snowflake punch worked out perfectly! This card is just beautiful! I love the layers you created...and the unique opening. Great! Gorgeous card! I love the white accents!